Fiat 124 Spider Running Costs, MPG, Economy, Reliability, Safety | What Car? The cheapest 124 Spider is a bit more expensive than the cheapest Mazda MX-5, but it’s also a fair bit quicker. In fact, the Fiat is almost as rapid as the much pricier and more powerful of the two MX-5s, yet offers superior fuel economy and lower emissions - the latter being especially good news for company car drivers. Both cars come from the same Mazda production line in Japan, which bodes well for reliability, Mazda sitting near the top of our reliability charts, some way above Fiat. Yet it’s Fiat that covers unlimited miles in its three-year warranty (there’s a 60,000-mile limit for the MX-5). ‘Lusso’ means luxury in Italian, and the mid-range Lusso specification brings just that with plenty of niceties included, while similarly priced MX-5s put more emphasis on dynamic equipment for a sharper drive. The two cars are expected to depreciate at about the same rate. 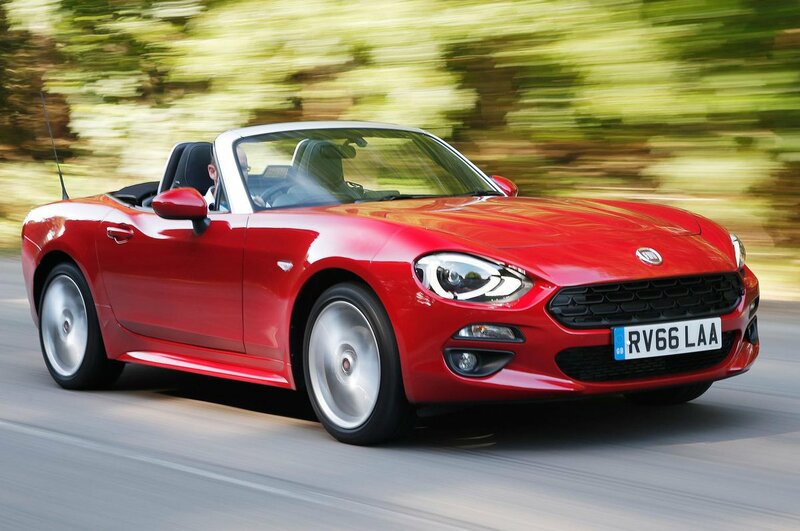 The 124 Spider comes with four airbags and cruise control with speed limiter as standard. 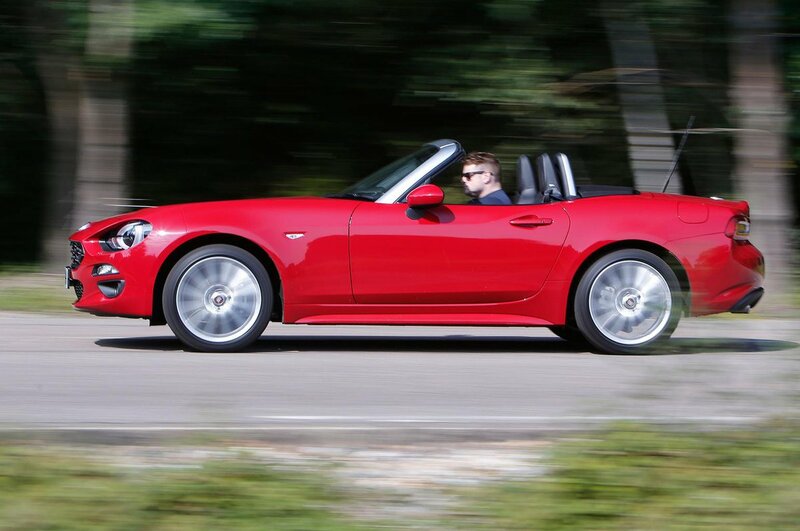 It hasn’t been crash tested by Euro NCAP yet, but expect a similar overall score to the MX-5’s four stars out of five. This is average for a small roadster and only held back by its relative paucity of driver assistance equipment.